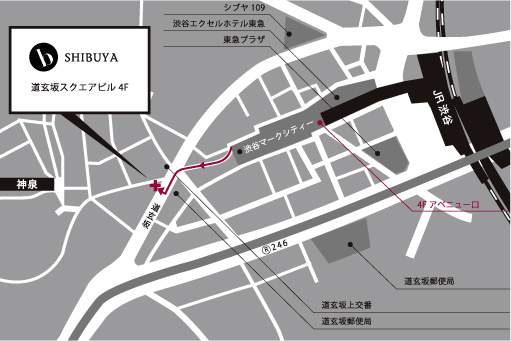 Tamagawa Gate is convenient if you come from JR Shibuya station. 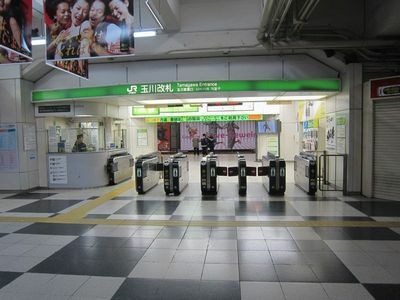 If you take the Toyoko or the Den-en-toshi line, please come to Mark city Avenue Gate. Take the escalators to the fourth floor using the escalators. 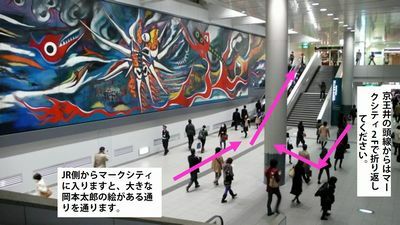 There is a big picture painted by Taro Okamoto on the second floor. 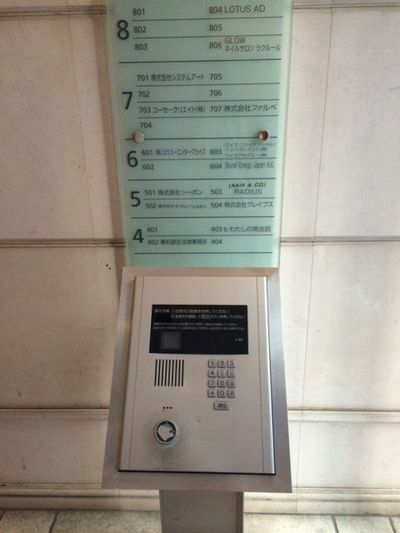 You can go up to the fourth floor directly from Toyoko or Den-en-toshi line. 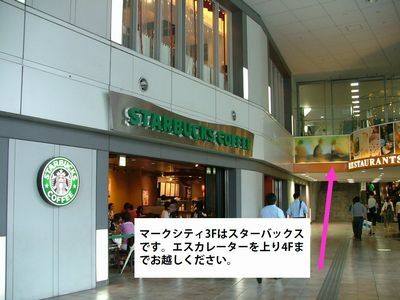 There is a Starbucks on the third floor. Go up to the fourth floor. 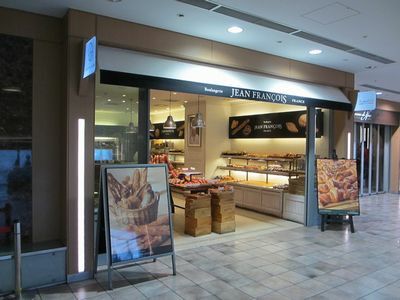 After you get to the fourth floor, you will see Jean Francois on your left, which is famous for its French bread. Keep going straight. 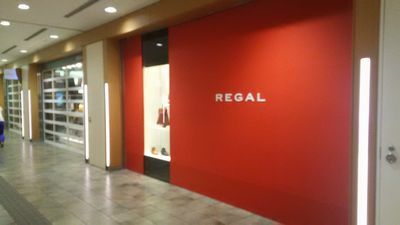 Keep going, you will see a Sunkus convenience store on your left , and a shoe shop called Regal on your right . You are almost there. Go out of Mark city and you will see the Dogenzaka intersection. 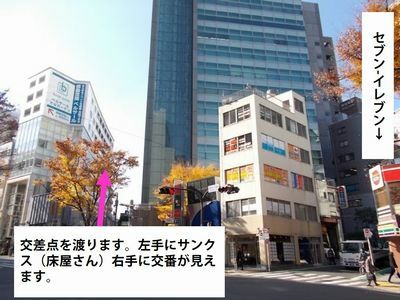 You will see the Dogenzaka police station across from the intersection. Take the narrow road between barbershop Sanks and the police station. 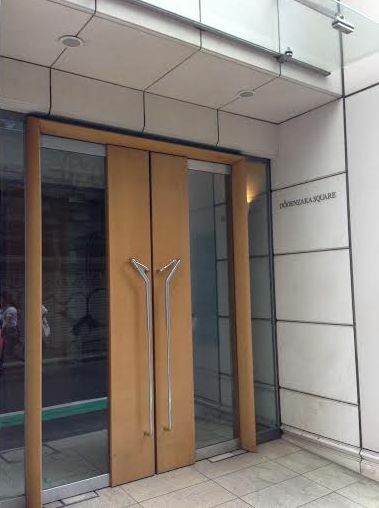 Please be careful not to pass the entrance. 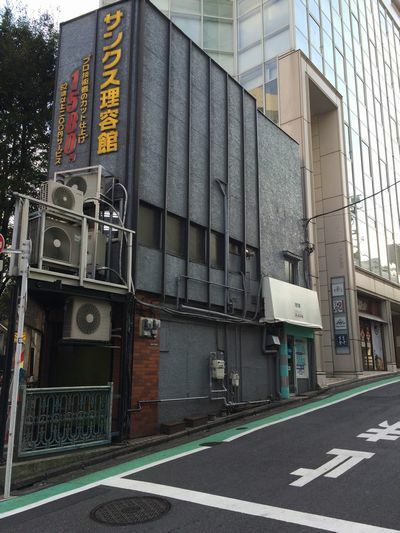 Pass the Tonkatsu 富士喜（Fujiki）and you will see the entrance of the building. (It’s written “DOGENZAKA SQUARE” in Roman letters. Please press”403” so that we can open the entrance door.